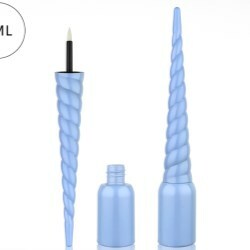 The new unicorn eyeliner packaging has two options, one with triagular base, the other with circular base. 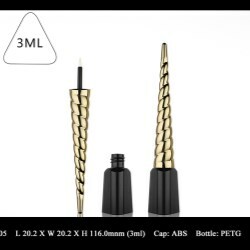 Both with 3 ml capacity, and can be treated with numerous decoration to achieve special visual effect. 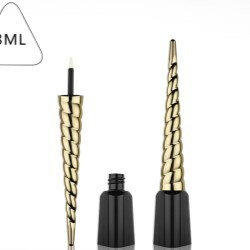 Liquid eyeliner packaging in slim shape. Fancy & Trend introduces gradation decoration for its eyeliner pack. The packaging closure is injection in ABS, then added a thin layer of color coat on the top of the black plastic surface. 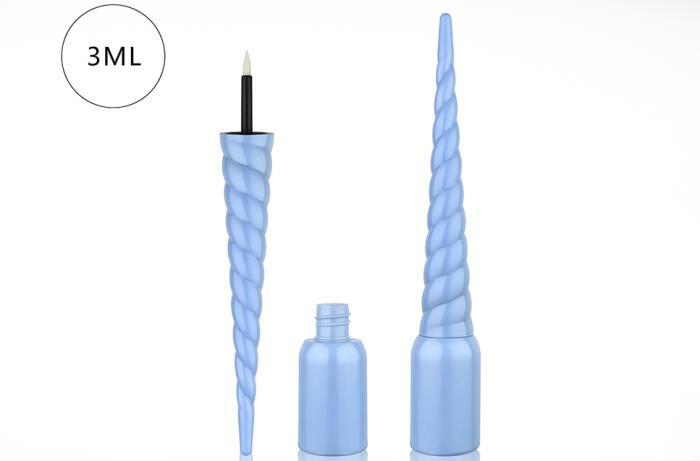 Fancy and Trend has created a number of new packaging designs for liquid eyeliner products in distinctive shapes. One particularly worthy mention is a "wine bottle" shape. 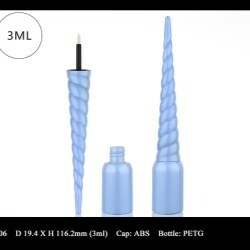 Made with a PETG or SAN bottle, these distinctive designs are compatible with cosmetic formulae and ensure the product is maintained in premium condition until its expiry date. Take a look at the eyecatching forms available!